I didn’t believe it would ever happen. I dreamed about it… and wanted it… and sometimes I thought I could reach out and touch it, but nothing was there. It never materialized. Until now. My husband brought home the final piece of my fantasy today — a really comfy desk chair. I have an office!!! I’m sure this isn’t anything special to most of you. What’s so great about an office? People go to offices every day. Normal people want OUT of the office! True, true… but my “office” is a house filled with four happy, noisy, full-time children. I love them and they’re great — but OMG, I want to hide in my new office. It’s so quiet down here. Nobody is climbing on me while I type. My toddler daughter isn’t standing on the chair behind me putting bows in my hair while I upload pictures. The baby isn’t hanging on my leg. My older boys aren’t asking for snacks. I’m not sure if I know how to get things done anymore without being totally distracted doing nine things at once. This will take some getting used to. 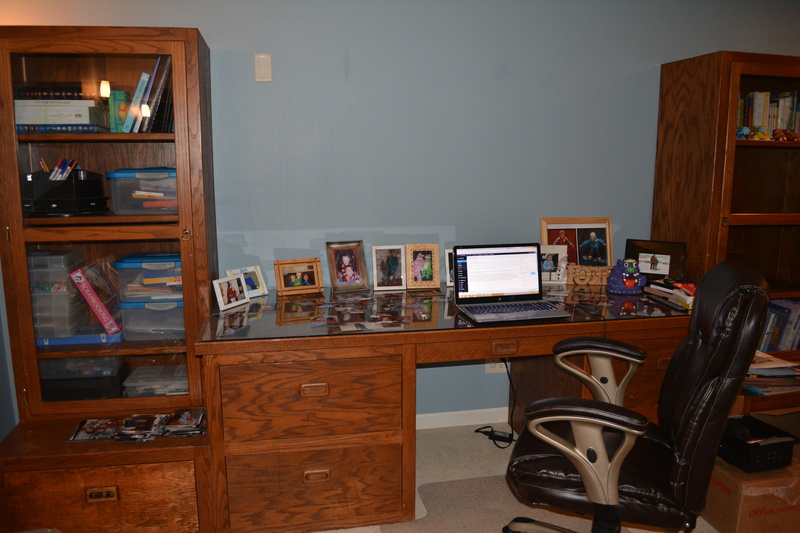 Everything’s not totally organized yet, so please excuse the mess, but here it is… a beautiful work space all my own! 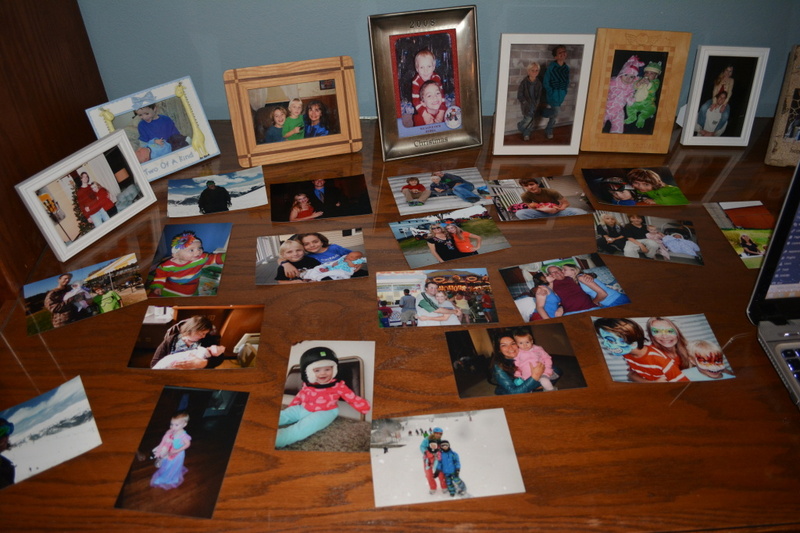 The first thing I did was put 33 pictures of my kids all over my desk. Not exaggerating. That is actually the first thing I did. My husband always told me there would come a time when he would watch the kids, and I could retire to the peace of my own space and write. I didn’t believe him. (He is the traditional “breadwinner” and I am the traditional “homemaker”). But that time is upon us! 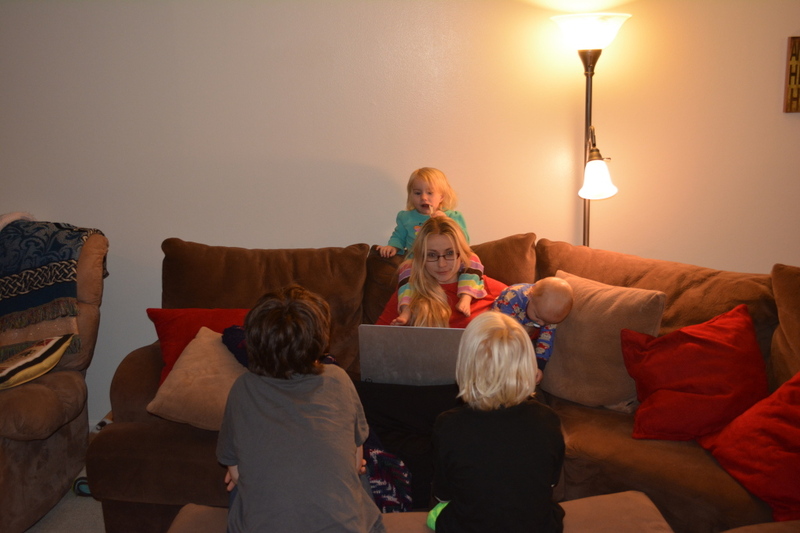 Tonight, I cooked dinner — three cheese tortellini, broccoli in alfredo sauce, cornbread, sweet potato fries and pumpkin pie — we ate, and here I am in my office while my husband and the boys do the dishes, clean up the kitchen, and play with the babies. This is fantastic! I am totally alone. I love this. I never knew how quiet a room could actually be. It’s what I always wanted. Imagine all the things I can do with all this time and peace and quiet. I’m kind of worried they need me up there. I just don’t know what to write. It’s too quiet down here. I should probably reposition my laptop.